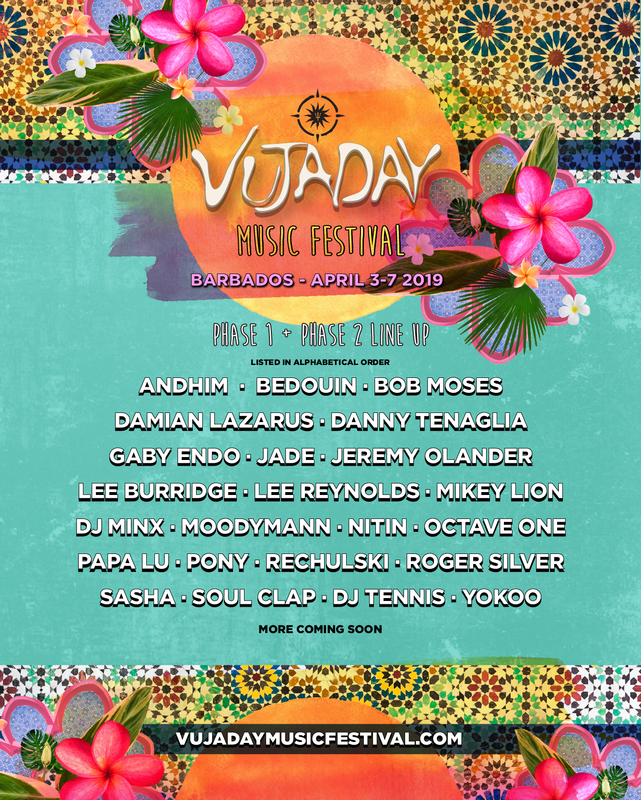 Taking place from April 3rd-7th, Barbados festival Vujaday has announced its second wave of artists, with Crosstown Rebels boss Damian Lazarus, German duo andhim and New York-legend Danny Tenaglia all added, alongside Pony from The Fitness & Pony, Papa Lu, Gaby Endo and NYC’s Roger Silver. They join the likes of Sasha, Bob Moses, Detroit house and techno staple Moodymann, Lee Burridge DJ Tennis, Soul Clap and Octave One, who were announced in the first phase. More artist are still to be added closer to the event, which this year launches a new daytime party series to compliment its evening events, which take place in various unique venues around the island. Last year included Bellevue Plantation, a 100-acre property surrounded by verdant vegetation that also includes a pool and polo fields, the sunrise views of the coastal Cornwall House and various beach side venues. Watch the phase one and two video below and check out the full line-up on the artwork below that. Tickets are available here, while further info on the festival, including the full line-up so far, are here. Vujaday 2019 Lineup Trailer from Vujaday Music Festival on Vimeo.